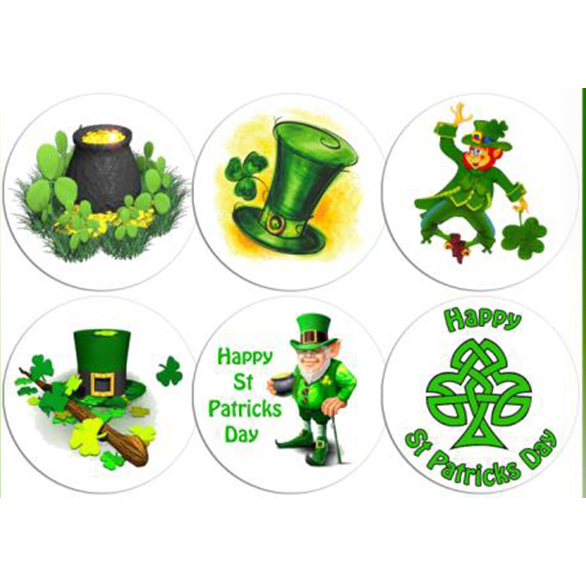 These St. Patricks Day cake decorations come in 6 fun designs and are guaranteed to make your friends smile! 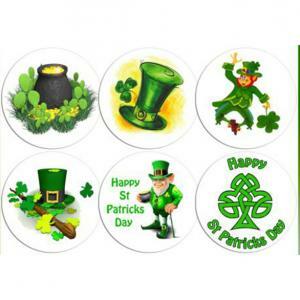 The decorations are 1.75" in diameter, made from a potato starch wafer and will last for 2 years in a dry cupboard. 3 medium free range eggs- please don't buy battery farmed eggs! 1 vanilla pod, with the seeds scraped out. 8. 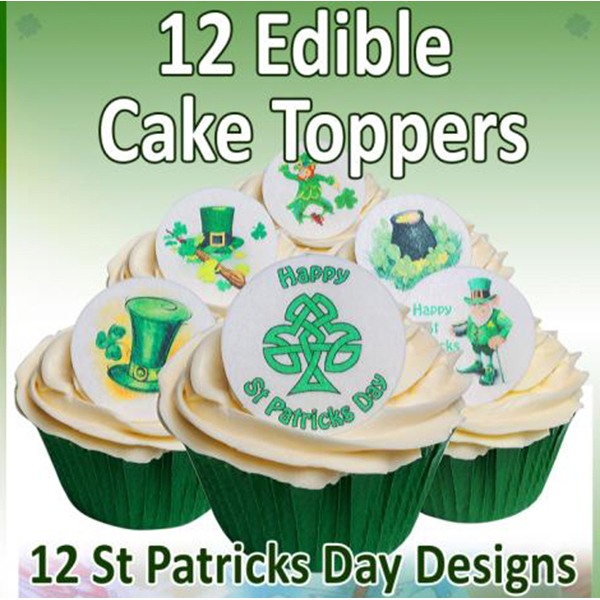 Top with these fun cupcake decorations and have a wonderful St. Patricks Day!